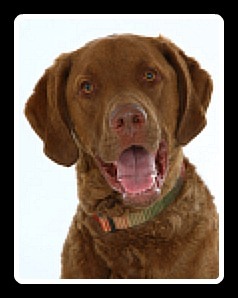 This is Brother Ernie, now six years old, over a hundred pounds and like me every bit a Chesapeake Bay retriever. In fact, Ernie comes from a line of infamous show dogs. He is a great companion for my moms; fun, good-looking, loyal and what a personality. Ernie smiles all the time, his energy button never shuts off. He has and continues to be baffled by the felines in our house. They tease him and he drives them wild, they all seem to have great fun. Like me, he shows an inclination for writing which appears to be a characteristic of our clan. Ernie points out dog poop everywhere, especially when pet parents fail to pick it up; in fact he gets quite upset about it. Recently, he suggested when we see dogs and their people that he greet them with his smile and a biodegradable bag. He said he trusts the bag will remind them of their job to Go Doggone Green! I told him I think it is a winning idea. We’ll let you know what happens. I asked “handsome” in December 2008 if he would co-author my second book. Not to be surprised he said, “He couldn’t wait,” and so we hunkered down and began. What a journey; every day was a hoot and a howl. Grab a copy today for everyone you know. It’s a book for pets, kids and their parents. 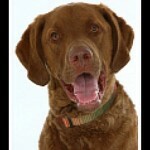 Ernie is humorous and full of Doggone Green Action ideas. That's my bro always in action.